In this article, I share some creative ways to build more traffic to your blog! You’ve purchased your domain name, installed WordPress and started a blog. You brainstormed blog ideas and knocked out a couple of posts. Here comes the hard part, building traffic and a following for your site! Hi! I’m Rebecca, I’m the new main blogger at BusyBloggingMom.com – I introduced myself in the newsletter – you’re subscribed to the newsletter, right!? Getting people to find and read your blog is crucial to the success of your site. 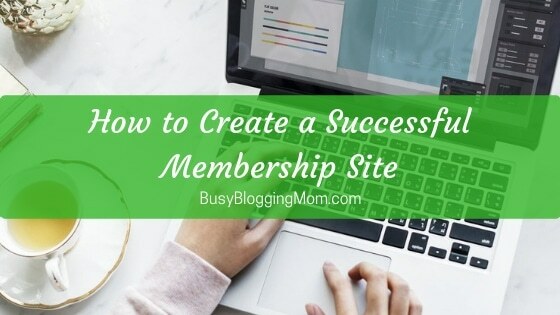 The best way to do this, besides shameless promoting to your family and friends, is to find ways to establish links to your blog from other sites on the Internet. Known as backlinks, they can become access points from different corners of the Web that allow people to find your blog. As backlinks are created to a blog, the blog starts ranking higher in search engines like the big ole Google. This means that the search engines are taking your blog more seriously because people are referencing it around the web. 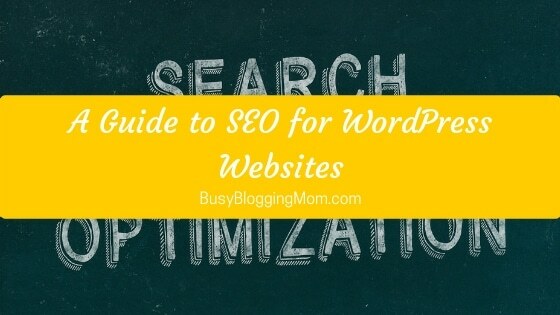 Sprinkle some basic SEO and a couple of backlink, and your blog can start climbing the search engines rankings for your important keywords. I figured I’d start with something that you have total control over and that will have the most impact in your link building work. You need to publish quality content regularly to start generating backlinks to your site. I recommend engaging informative posts with at least 500 words. Make sure they are visually stimulating by adding images. It will be easier to implement the other tactics to build traffic below if your content is worth sharing. This is something I haven’t tried but seen others use with success. You can create a small video, just a few seconds long like Vines, and add it to your new blog post. If you’re on Twitter or Instagram, you can share the video referencing your article. The video makes readers more inclined to visit the blog because they have been visually stimulated. Even if a small slide show that just shows the name of your new post and a funny picture will entice more people to share your link. There are many sites that allow you to upload and share PDF documents. When you publish your PDF on these sites, you can add a link back to the original posting on your blog. 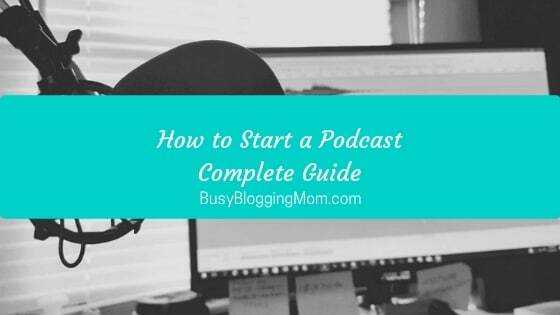 This is also a great way to establish that you are an authority on the topic you blog about. Many of these sites only allow informational articles, but publishing a transcript about an informational subject will also qualify. Sound silly? It is absolutely the easiest way to establish yourself as a credible source of information on specific topic. Amazon lets you publish a public personal profile that users can visit – so this gives you more traffic too! When you post a product review, a link to your profile can lead other consumers right back to your blog. Plus, as a bonus, you can also add Amazon links on your site to the products that you have reviewed. This gives you an additional income source! 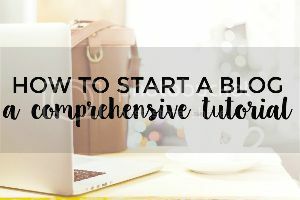 Starting a YouTube channel to support your blog is excellent way to build links. It does not have to be you in the video if you’re camera shy. You can create slide shows of the article you have written for example. Be creative. And always make sure that you post the link to your blog at the end of you video. Promote your videos as a separate stream of information and both your YouTube channel and your blog will start generating links for each other. Even though Google tends to not give too much value to links obtained via guest blogging anymore, this is still a very important way to create backlinks to your blog. Write guest pieces on blogs that are in the same niche to your site or that complement your blog. For instance, if you are blogging about homemaking, it makes sense to guest post on sites that are about the same or related topics. 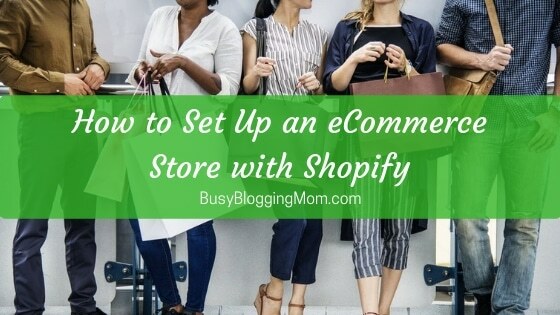 This also helps establish you as an authority on a subject matter because people will begin to recognize your name and contributions on sites they normally visit. Btw, if you want to guest blog on BBM, write me a note! Article sites allow you to submit articles to enhance their information portal. As a reward for increasing their database, these sites allow authors to post their information and credentials as part of their bio. These article submission sites have a lot of articles and may not drive that much traffic, but it’s still a way to get backlinks. This is something you’ll probably see me do here in the coming months given that I have so many different interests. Once a month write a blog post about something very off-topic from the subject of your blog. For example, if you are blogging about different natural dog foods, write an article sometime during the month about how you went hiking in Nebraska and what you recommend. Relate it to your blog, “When I go hiking with my dog, one of our favorite….,” and write a quality post about your favorite place to hike. Mention places that you like to eat or visit when you are there. Make it personable. This not only draws a different crowd to your blog, for instance those looking for a place to go hiking, it also shows your readers you are very human. This allows your readers to make a personal connection with you and establishes a bond. This bond leads to the sharing of your blog. As a bonus, people who blog regularly about that off-topic blog post may very well reference and link back to your article to share it with their own audience, bringing you more traffic! 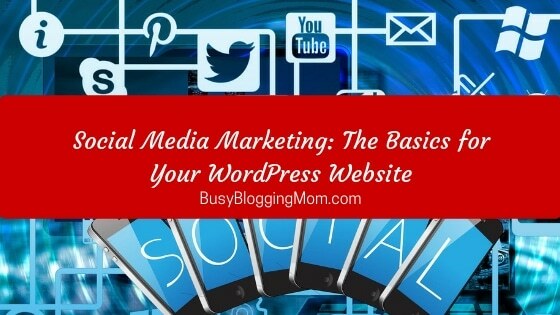 Go over all the websites and social media sites where you have an account and update these profiles to include a link to your blog. Any membership site, forum, social media site, or retail site that asks for your personal web address should include your blog link. This is one of the simplest ways to have your link connected to major sites. Every major website your blog is connected to by a link raises your “authority” with the search engines and gives you better rankings. Each rank increases pushes you towards tat first page search status. Press release sites are a very good way that you can shamelessly promote your blog and your ideas to get more traffic. Whenever you have an announcement – maybe you create a new online course or release a new eBook, reach out to press release submission sites. Each release will contain your information and a link to your site. If you are lucky, some of the major news networks will pick up the release and put it on their own online publications. This is the favorite promotion tactic of this site. While you can create a board on Pinterest that is directly related to your topic, and you are encouraged to do so, you should also try to create a very unusual board to draw a different crowd. Creativity always sparks interest, and if your board becomes popular, people will want to know who created it and what else they offer. 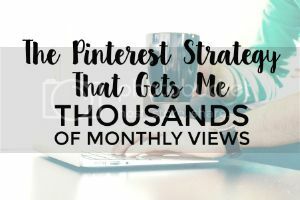 Chantal has written this strategy in Pinterest 101 and also about creating amazing Pinterest images for your site. Trying any one or all these creative tactics will undoubtedly increase traffic to your blog. Just remember, it takes time and patience to create a successful blog, but the fruits are worth the efforts. Love the youtube channel idea. I’m thinking of starting one sometime this year.